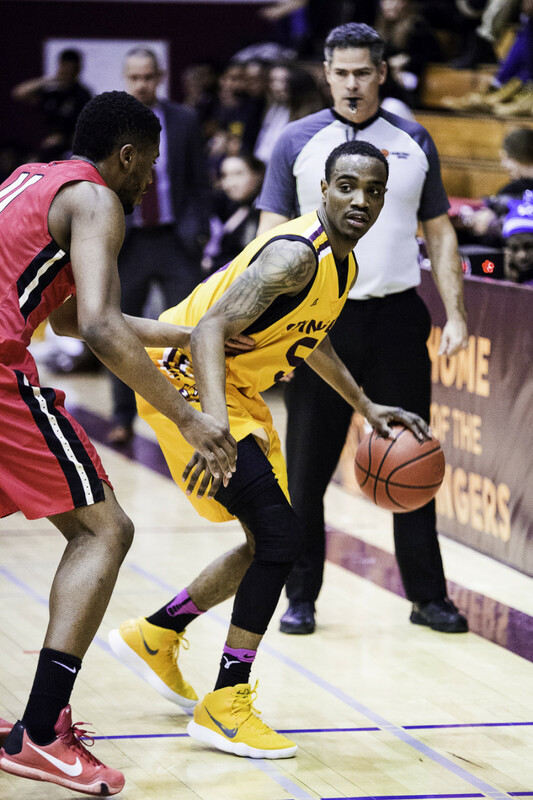 The Stingers were without their usual starting point guard Ricardo Monge on Thursday night against the Laval Rouge et Or. He was serving a one-game suspension from a scuffle that occured in Concordia’s Jan. 20 win against the Bishop’s Gaiters. 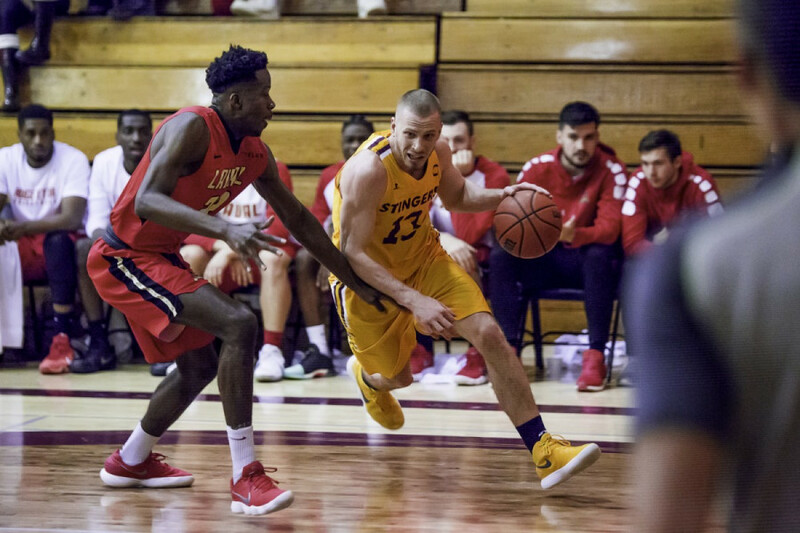 To replace him, Stingers head coach Rastko Popovic used a two-guard starting lineup with Adrian Armstrong and first-year Stinger Jonathan Koud sharing the backcourt. The duo combined for 31 points in the game, but Armstrong couldn’t be pleased without the win. “I hit a couple shots and [committed] a couple turnovers,” Armstrong said. Laval assistant coach Éric Segal said that prior to coming to Concordia, their team focused on practicing their offense and being as productive on that end of the floor as possible. Their planning paid off. The visiting team had just two players enter double-digits for scoring, but did see an impressive ten of their 13 players register points in the game. The team was led by Vladimir Thomas’ 19 points and five rebounds off the bench and Frantson Demosthène’s 16-point, 12-rebound double-double. Demosthène, who spends a lot of time of watching and analyzing game film, links his on-court success to it. 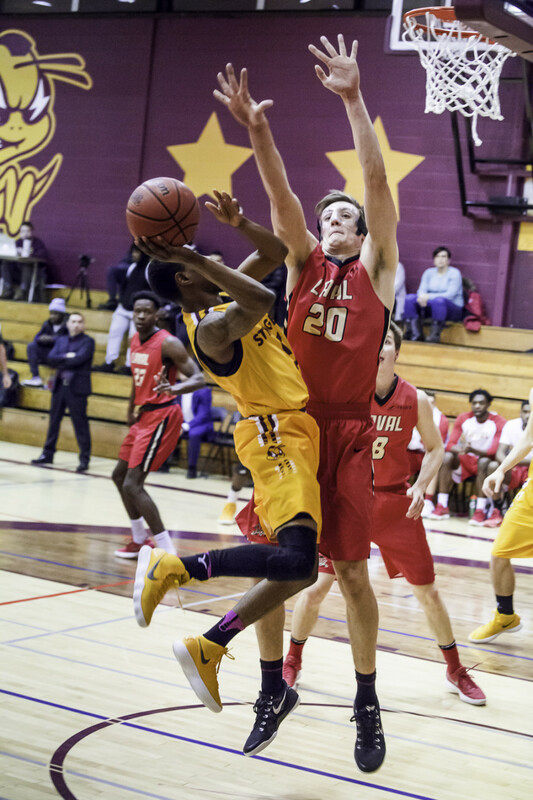 Despite a good start from the Stingers and solid contributions from starting forward Olivier Simon, Concordia didn’t have enough to win. Popovic believes that the Stingers gave their opponent too much of an opportunity to win. 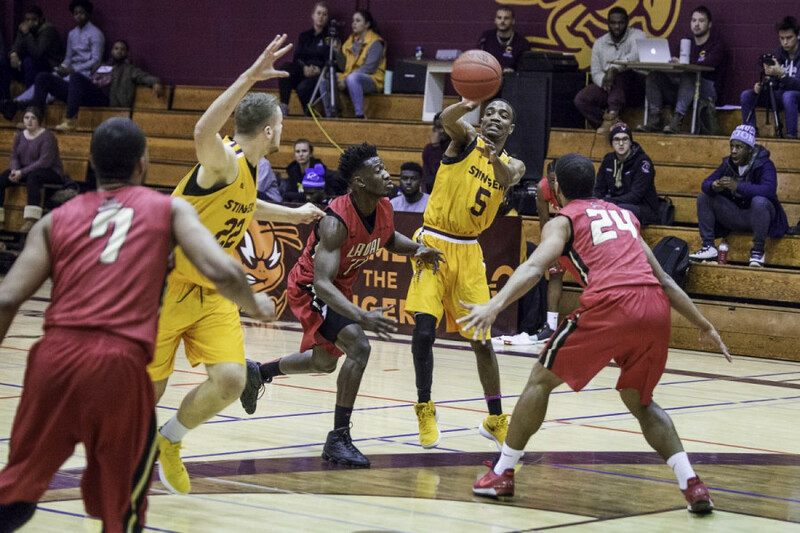 The Stingers will be facing the Université de Québec à Montréal Citadins on Thursday, Feb. 1 at the Citadins gym. By then, Concordia will have their full roster of players and hope that that’ll get them a win. Armstrong, however, was quick to mention that the lineup shouldn’t matter.